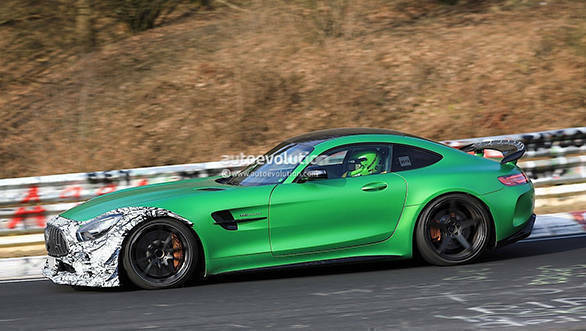 An updated Mercedes-AMG GT R has been spied undergoing tests at the Nurburgring. While the car spotted at demanding Nordschleife circuit closely resembles the present generation GT R, there are small changes to the front which have been camouflaged as well as a taped up rear wing if you look closely. 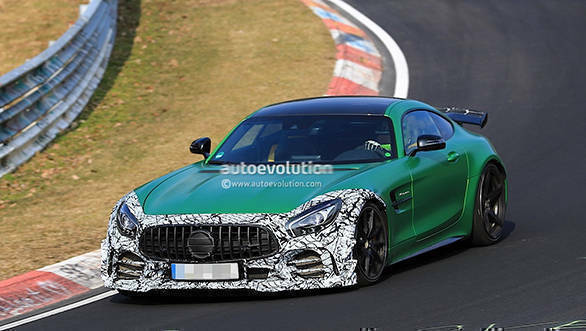 Mercedes-AMG had earlier stated that its Black series badge would make a comeback, but this GT R prototype looks too ready for the road to be a 2022 model. 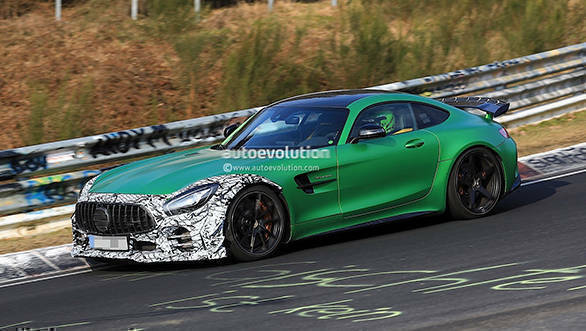 We believe this may be an update to the Mercedes-AMG GT R which could be launched before the year ends. Mercedes-AMG had set the RWD Nurburgring fastest lap record which was then bested by the 2017 Porsche 911 GT2 RS. And this update may come in time for Beast from the Green Hell to reclaim its title. The GT R was launched in India last year at Rs 2.23 crore (ex-showroom, Delhi) last year. Look closer and you notice the discreet updates on the GT R. The front bumper now hosts a pair of canards to boost the aerodynamics, with some updates to the central section of the bumper as well. 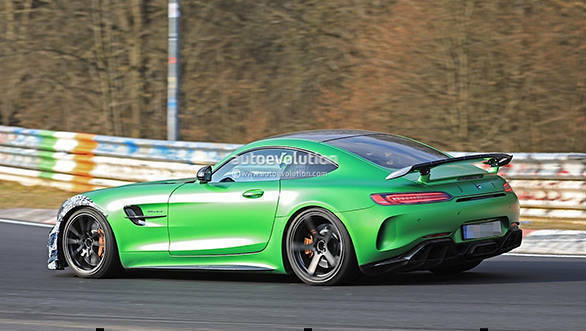 The Mercedes-AMG GT R update also sports a rear wing with a more aggressive angle and has an added gurney lip to boost downforce further. 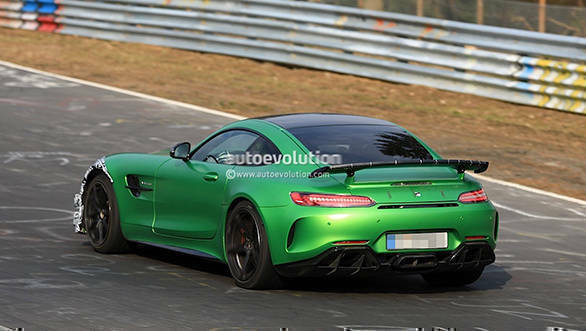 From the looks of it, this could also be an optional aero pack Mercedes-AMG introduces for the current model. While mechanical changes if any are not yet known, there could be a mild update to the power rating to GT R as well.